After a car accident, there is a good chance that your child’s car seat should be replaced, even if there is no obvious damage. Many manufacturers suggest replacement after even a minor accident. If you are dealing with the aftermath of an accident that was not your fault, your personal injury attorney in Tracy or Livermore can help you navigate the process of seeking compensation for all of your damage, including your car seat. Under California law, a child’s car seat must be replaced if the seat was occupied at the time of the accident. If your child was in the car when the accident occurred, your attorney will pursue replacement on your behalf on these grounds. 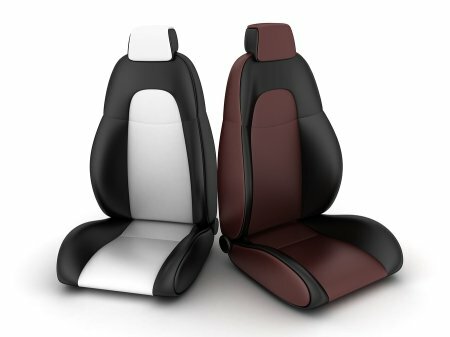 If the seat was not occupied when the crash occurred, then your attorney can still seek a replacement car seat at no cost to you based on the manufacturer’s recommendation or by demonstrating that the accident does not qualify as a minor crash. If you are involved in an auto accident, your knowledge of the current laws could have an impact on your case. New traffic laws hit the books in California, so do you know the new rules of the road? Here is a look at some of the most recently passed traffic laws in California. Be sure to consult with your attorney in Tracy if you have any questions. Texting while driving is already against the law in California, but a loophole in the law let people claim that they were using their phones for GPS if they received a ticket for using their devices behind the wheel. This new law closes that loophole by requiring any mobile device that is in use to be mounted either in the lower right or left corner of the windshield. Further, drivers can only use one finger on the device or risk being ticketed. Drivers are not allowed to have their devices mounted in another location on the windshield that could obstruct the field of vision. If you’re involved in an accident in which the other driver appears to be violating this rule, try to obtain a photo of that driver’s phone placement. Your personal injury attorney could use your picture as evidence should you file a lawsuit. Lane splitting occurs when motorcycles use the spaces between stopped traffic to continue traveling down the road. California is one of the few states in which motorcycle lane splitting is now legal, but only under certain conditions. Motorcycles may not travel more than 10 mph faster than the traffic around it, and they must be traveling in the same direction as the traffic. The California Highway Patrol also recommends that motorcyclists avoid lane splitting when traffic is moving faster than 30 mph. Under new laws, children must ride in rear-facing car seats until they are age two, regardless of their weight. The law assumes that children will reach 40 inches in height and 40 pounds in weight by that time, when they can transition to forward-facing seats. Personal injury cases rest on the concept of negligence. When you hire a personal injury lawyer, he or she will consider the role of negligence in your case, including whether the negligence rests solely with the other party or if you contributed to the accident in any way. If you can be proven to have a role in causing the accident, your lawyer in Tracy may adjust the kind of compensation he or she pursues on your behalf. These concepts are known as contributory and comparative negligence, depending on the laws in your state. Here is what you need to know. 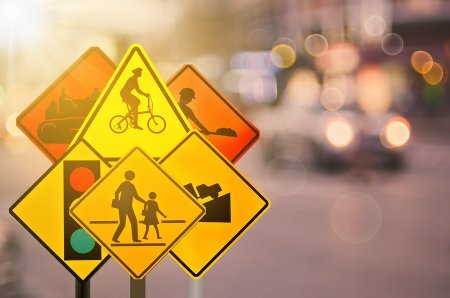 Contributory negligence is a system used in only a handful of states: Maryland, Alabama, Virginia, North Carolina, and Washington, D.C. Under this system, accident victims who were responsible for any part of an accident can be prevented receiving any compensation at all for their injuries. Even if the role of victims was very small and their injuries are severe, the contributory negligence system means that they may be full responsible for all of their own damages, including long-term financial problems caused on ongoing medical bills or the inability to work. The all-or-nothing nature of contributory negligence is the reason it is only used in a small number of states. Other states have decided that contributory negligence is too extreme and instead rely on comparative negligence. The comparative negligence system lets defendants in personal injury cases mount a partial defense, in which they argue that the victim has some degree of responsibility for the accident, so they should only be eligible to receive a reduced amount of compensation. Usually, this is expressed as a percentage, and the assigned percentage of responsibility is the percentage of available compensation the victim receives. In some states, including California, there is a pure comparative negligence system, in which victims can receive compensation even if they were more negligent than the defendant. 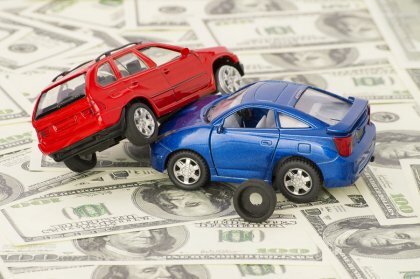 In modified comparative negligence states, accident victims must be less negligent than defendants to receive damages in a personal injury case. 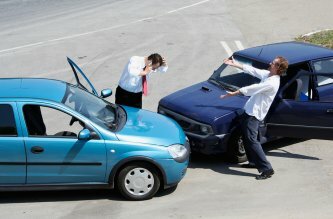 Personal injury lawyers in Tracy and Manteca can assist you in securing compensation after a car accident . Unfortunately, many car crash victims inadvertently compromise the influence of their personal injury lawyer by saying the wrong things to the other driver. Since your personal injury lawyer won’t be on the scene to guide you, it’s important to know the ins and outs of conversing with the other driver after a crash. Although you’ll need to gather certain information from the other driver such as the driver’s license number and contact information, you should refrain from discussing anything else with him or her. In particular, injury lawyers strongly recommend not discussing the specifics of the crash, such as which party made which mistakes. Never apologize for the crash because this can be misinterpreted as an admission of fault. The insurance carrier will attempt to pin the blame on you, even if you truly weren’t at fault, and apologizing to the other driver will only serve to substantiate the case against you. Following a car accident, you might have to deal with the consequences of missing work, fixing damage to your car, handling liability issues, and seeking treatment for related injuries. In addition, you may need to contact a personal injury lawyer in Tracy at Bakerink, McCusker & Belden to ensure you obtain the compensation you deserve. While it’s important to know what steps to take following a car accident, it is equally important to understand what mistakes to avoid. If you’re involved in a car accident where the damage appears minor, you should still stay at the scene. You are legally required to stop and check on the other people involved, regardless of how serious the accident initially appears. You should also exchange insurance information with the other driver so that you can provide this information to your lawyer and insurance company. In some states, driving away from an accident scene involving injuries can result in felony charges. Not only do you need to check on the scene, but if someone is injured, you must provide aid, transport him or her to the hospital, or wait for help to arrive. Once you’ve called 911 to report the accident, you need to make sure you properly document the incident for the personal injury lawyers that could become involved in your case. As soon as possible following the accident, write down exactly what happened in the moments leading up to the incident and when the crash occurred. For example, you need to know what street you were on, what direction you were headed, and when the other driver came onto the scene. Not only will you want to provide this information to your attorney, but you will also need to give it to law enforcement and your insurance provider. 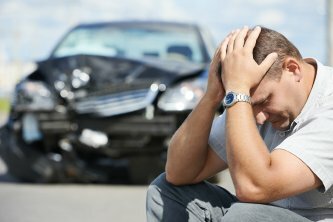 Coping with the trauma of a car accident is difficult, but you still need to follow up on the aftermath by seeking medical treatment and consulting an accident attorney with Bakerink, McCusker & Belden. It’s especially important to get in touch with a lawyer if your resulting injuries will require extensive medical treatment. If you have been injured in an accident, it’s essential that you take immediate action to protect yourself and your rights. One of your first steps should be to contact a personal injury lawyer near Tracy to set up a consultation. During that initial meeting, your attorney can help you determine whether you have a case and who should be held responsible for the harm you have suffered. Your attorney can also inform you of how much compensation you may be entitled to for your injuries, which will help you decide whether your case is worth pursuing. Bringing a legal case can be a complex process, and a seasoned attorney will have the expertise and knowledge of California law that is necessary to navigate the legal system and bring your case to a satisfactory conclusion. No matter what kind of accident you have been involved in, an experienced accident attorney can help you.